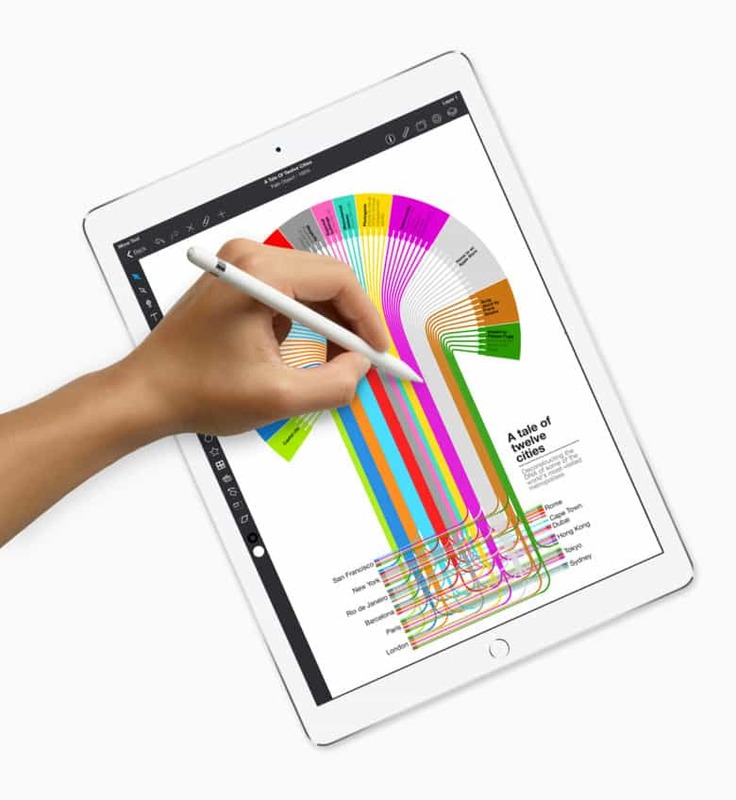 Here's what early reviews are saying about the iPad Pro. The first reviews for Apple’s 10.5-inch iPad Pro are out, and they’re good! From its blazing fast speed to its new variable refresh rate ProMotion feature, the first reviews make it sound like Apple’s latest model could be its most perfect tablet yet. One of the big improvements of the new iPad Pro is its new variable refresh rate display, which Apple calls ProMotion, and means that it can run at 120fps, or twice as fast as previous displays. It can also cycle down to 24Hz on still images. CNET says that the feature makes scrolling and animations look better. This is repeated in ArsTechnica‘s review, which praises the new ProMotion by saying that it makes it easier to read text and scroll simultaneously, with the “ghosting” effect you get at 60Hz greatly reduced. Since many reviews note that they’re not artists or regular stylus users, I suspect we’ll have to wait a longer to get a definitive take on this issue. What everyone can agree on is that the new A10x processor is as blazingly fast as you’d hope, although right now a lot of this is still theoretical — since there’s very little out there to truly test it on. Taken into account with the new iPad Pro’s 12-megapixel camera, Jim Dalrymple of The Loop writes that it, “the A10X chip is so powerful, it allows you to edit multiple streams of 4K video.” That’s pretty darn awesome! Battery life on a tablet has never felt quite as crucial as battery life on a smartphone or laptop, but the new 10.5-inch iPad doesn’t disappoint. It packs a 30.4Whr battery, which provides typical iPad battery life — which is impressive when you consider it has to do this while accounting for features like ProMotion. “The most pertinent spec after the screen is the battery life,” writes The Verge. “I can report that it’s very good. I have been getting 8 and 9 hours of multipurpose use on the regular, very close to Apple’s claimed 10 hours of web surfing.” It’s a sentiment that’s repeated elsewhere. Will you be buying the new iPad Pro? Leave your comments below.